China launches Chang’e-4 lunar probe in the Xichang Satellite Launch Center in southwest China’s Sichuan Province, Dec. 8, 2018. China has launched its Chang’e-4 lunar probe to explore the dark side of the moon, which will be the first soft landing on the far side of the moon in human history. While one side of the moon always faces Earth, the other is in constant shadow and has remained largely unexplored, though it has been photographed extensively. Zou Yongliao, head of the moon and deep-space exploration department under the Chinese Academy of Sciences, hailed the Chang’e-4 lunar probe launch as an immense achievement of our age. About 100 detectors and orbiters have been sent to take photos of the moon since the 1950s, but no probe has made a soft-landing on the surface, he explained. According to reports, during its multi-week flight to the moon, the probe will enter a lunar transfer trajectory and then orbit the moon, before making an autonomous soft-landing on the Aitken Basin of the south lunar pole. The Aitken Basin has never been closely observed before. Therefore, getting first-hand information about the terrain and lunar soil components, as well as other scientific data, will help enrich human understanding of the moon. The basin is the largest and deepest impact crater in the solar system. Wu Weiren, the chief designer of China’s lunar probe program and an academician with the Chinese Academy of Engineering, said the basin, with a depth of 12 kilometers, will help humanity explore the moon’s inner regions. Additionally, the unique electromagnetic field and geographical conditions of the far side of the moon provide a favorable environment for low-frequency astronomical observations, noted Zou. To date, China has launched four lunar probes, each carrying a unique mission. The country’s first lunar probe, Chang’e-1, was launched in 2007. Chang’e-2, which was launched in 2010, created a full lunar map with a resolution of 7 meters. 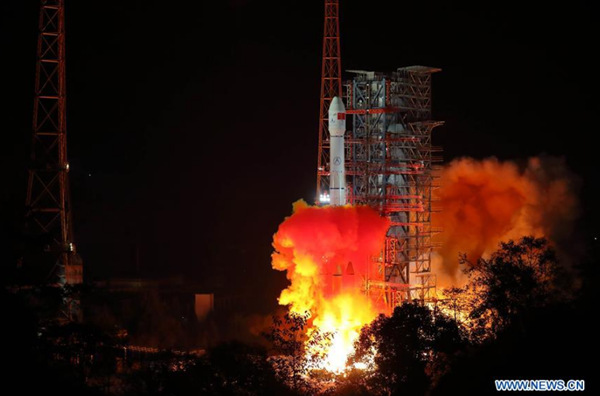 Chang’e-3, launched in 2013, was the first Chinese spacecraft to soft-land on and explore an extraterrestrial object.